Imagine that you are a stone at the bottom of a river. The flow of the water moves over your top surface without disturbing you at all; you are stable, content and still at the bottom of the river. Build this image in your mind, and then imagine yourself to actually be the stone at the bottom. 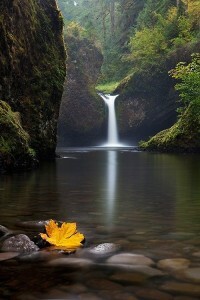 The water flowing over you is the flow of thoughts, activity and emotion from your mind. It simply flows over you whilst you sit stable, quiet and still. I periodically use this image as a way of connecting to stillness, both in meditation and when out and about; I find that it is helpful as a way of connecting to the stillness that is already in the mind, and ‘ducking under’ the superficial motion of my everyday inner conversation. If you are meditating on this image, spend a short while building the image; seeing the stone, hearing the water and so on. Then simply relax into the feeling of being the stone. After a while go back to visualizing the stone at the bottom of the river; try and see the image 5-10% more clearly. Then go back to the feeling of being the stone. You can alternate gently in this way, gradually moving deeper into the still, stable meditation state that the image helps us to build. PS: Meditation events in Singapore are now finnished for the year, but I will be doing a Mindful Astrology Workshop with my friend Sally whilst in the UK on the 29th December. If there is anyone in the Watford area who might be interested, then just click on the link for more details! Categorized under: creative imagery, Inner vision, Meditation techniques, Mindfulness. Tagged with: inner stillness, integral meditation, integral meditation asia, integral mindfulness, meditaton flow, mindful flow, stilling the mind.